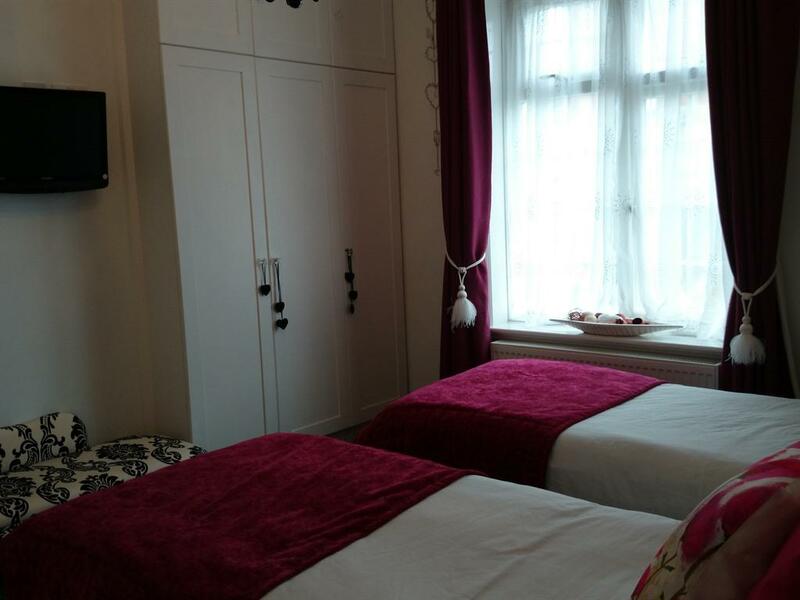 A compact double room complete with Double bed and en-suite shower room. 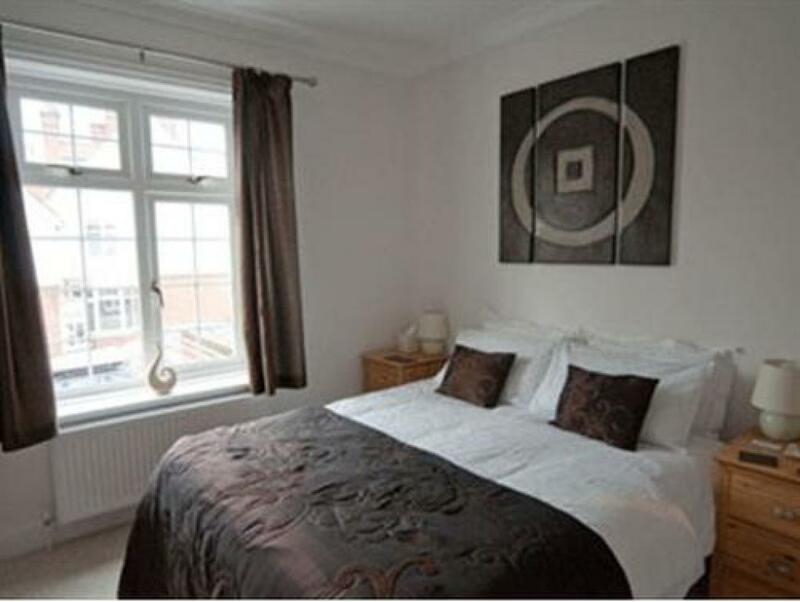 All of our bedrooms offer a comfortable stay with en-suite shower rooms or private bathroom. Every room has a TV, alarm clock, hairdryer and complimentary beverage tray that includes tea, coffee, hot chocolate and biscuits. 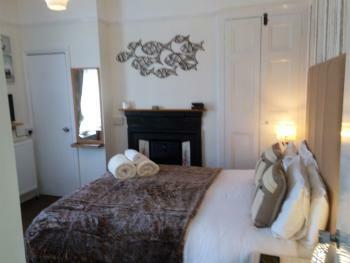 A warm and relaxing Double room with en-suite shower room and king size bed. All of our bedrooms offer a comfortable stay with en-suite shower rooms or private bathroom. Every room has a TV, freeview, alarm clock, hairdryer and complimentary beverage tray that includes tea, coffee, hot chocolate and biscuits. 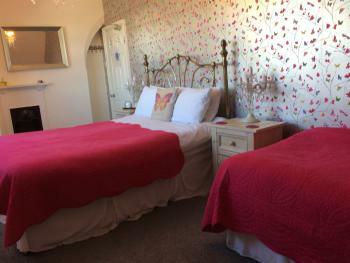 A Double/Twin room with kingsize bed or twin beds with en-suite shower room. 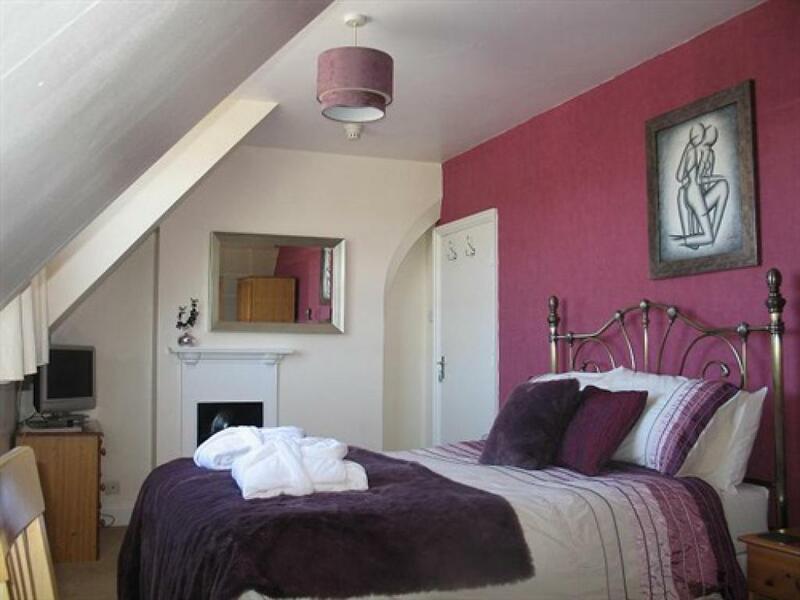 A lovely Family room with private bathroom/shower room. 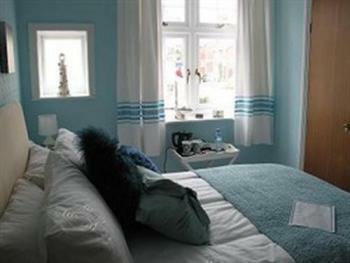 The room is made up of one kingsize bed and a single bed. 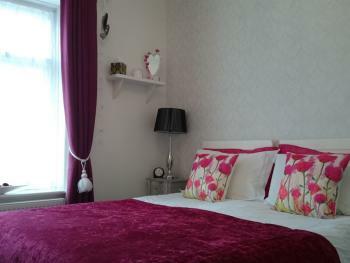 The room is equipped with tea/coffee making facilities, TV with Freeview and hairdryer. Welcome to Robertsbrook Guest House. 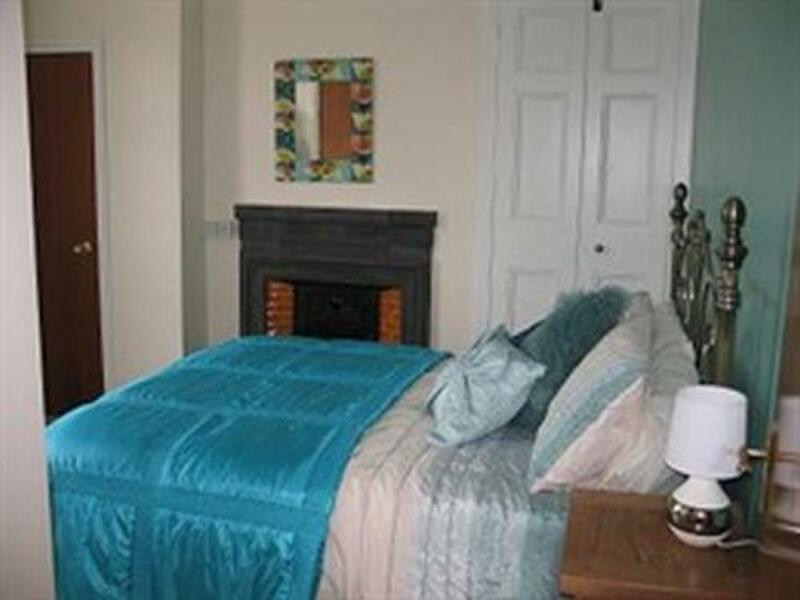 Enjoy a lovely Holiday in Swanage whether it’s for a weekend, mini-break or longer. Swanage and Robertsbrook Guest House is the ideal location to discover Dorset and the Jurassic Coast. Robertsbrook Guest House offers bed & breakfast in a warm and friendly atmosphere, with comfortable rooms and exceptional breakfasts. We also offer an in house complementary therapy service. 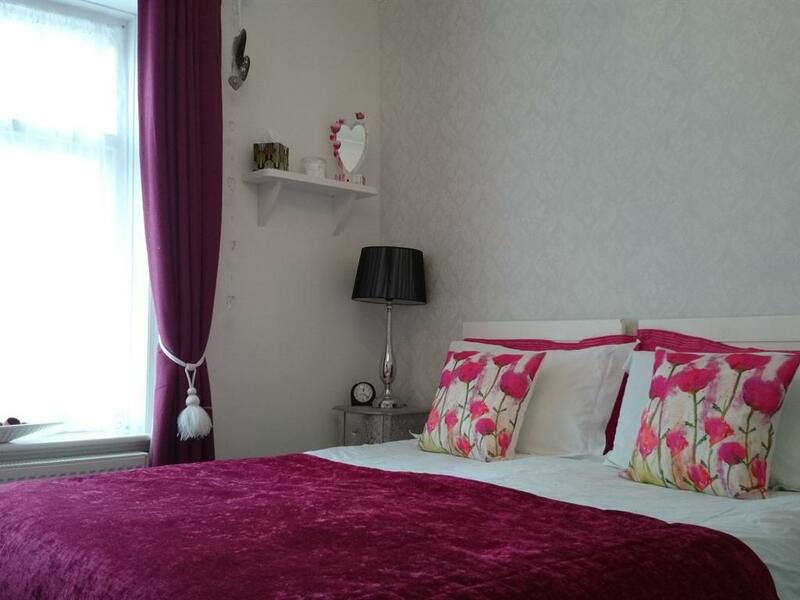 Robertsbrook Guest House is situated close to the town centre, opposite the famous Swanage Steam railway station, with the beach only a few minutes away. Our guest lounge/breakfast room has a TV with Freeview for your use, plus a number of DVD's and CD's. There is also a selection of games for your relaxation. We offer off-the-road car parking, as well as a non-smoking environment in which to enjoy your stay. All accommodation is on the 1st and 2nd floor, unfortunately we do not have specific facilities for people with mobility issues. From Bournemouth follow signs to Sandbanks, then follow signs to the Bournemouth/Studland Ferry which operates from 7.00am untill 11pm. Follow the signs for Swanage, when you reach the seafront take the second turning on your right, turn left at the traffic lights into Rempstone road, at the mini roundabout take the second exit. 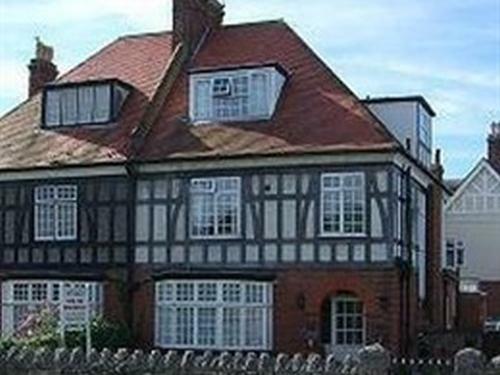 Robertsbrook Guest House is 100 yards on the corner of Springfield road.